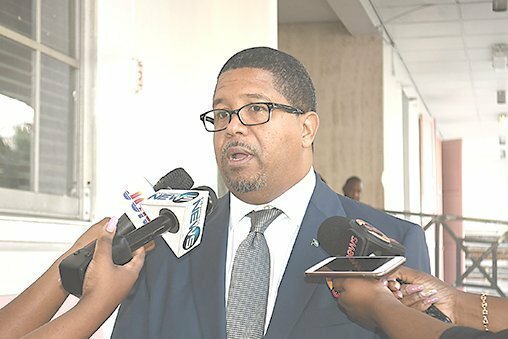 The government expects to complete the sale of the Grand Lucayan resort on Grand Bahama within four months, Deputy Prime Minister and Minister of Finance Peter Turnquest said yesterday. “Well, because I’m not directly involved in these negotiations, it’s difficult for me to say, but I think the general feeling is somewhere around 90 to I guess 120 days,” Turnquest said when called for comment. On Wednesday, the government signed a letter of intent with Royal Caribbean Cruises Ltd. (RCL) and the ITM Group for the purchase of the resort and the redevelopment of the Freeport Harbour. The two companies are expected to pay $65 million. Turnquest said the sale of the resort will be “a game changer for the island of Grand Bahama”. “For a number of years we’ve struggled with an identity, [with] being an island destination but not necessarily unique from any of the other islands or even necessarily from South Florida,” said Turnquest, who is the MP for East Grand Bahama. “With the attractions that are intended to be attached to both the harbor and the hotel, certainly we believe this will create for us an opportunity to brand Grand Bahama as the fun playground that it is.